If you thought it seemed like a long winter, you were right: the Forks river trail has been open for longer than ever before. 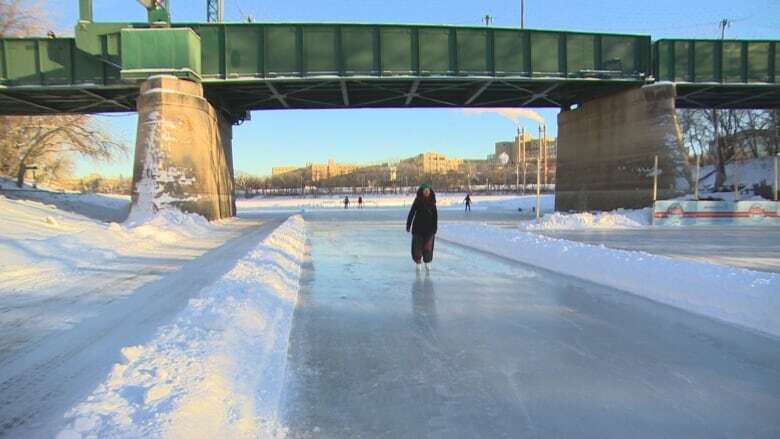 If you thought it seemed like a long winter, you were right: Winnipeg's river trail is on pace to set a record for the most number of days it's ever been open. 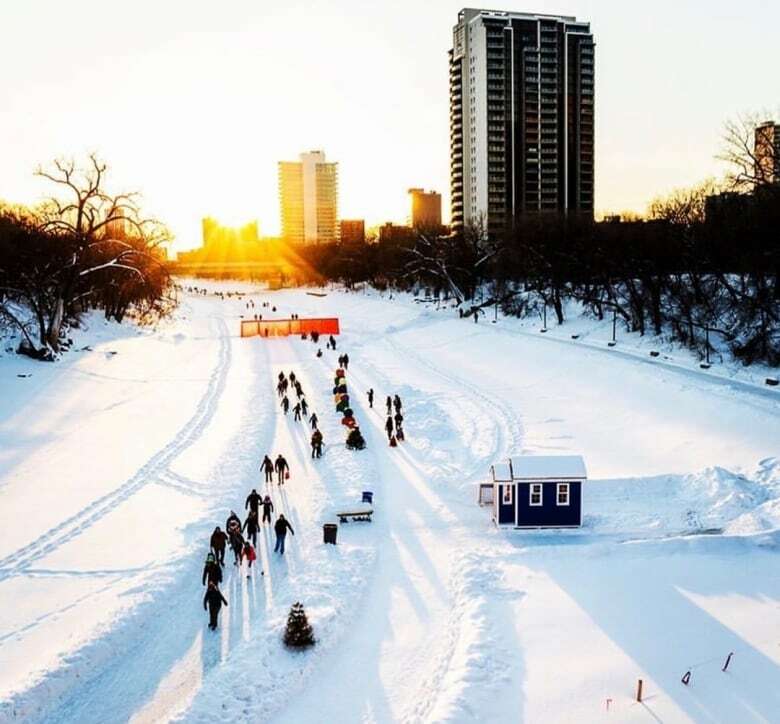 Saturday marks 72 days of skating on the Red River Mutual Trail, matching last year's record-setting run for the ice trail. But Forks spokesperson Chelsea Thomson says there are at least a few days left for the trail, which runs along Winnipeg's Red and Assiniboine rivers. "We looked ahead at what would we have to get to in order to beat those [number of] days again, thinking 'what are the chances we'd make it to March 9?' And we had a very cold and long winter, so we made it," Thomson said Saturday. However, this year's 6.3-kilometre trail length didn't come close to last year's record-setting 10 kilometres. 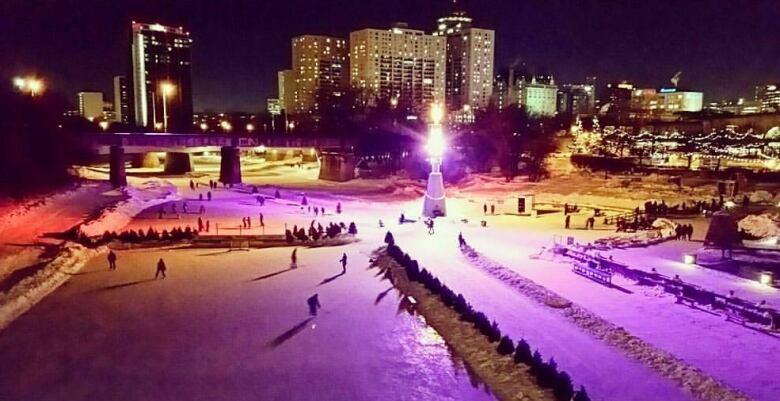 After winter temperatures hit early, the canopy rink at The Forks opened on Nov. 18, earlier than ever before, followed by the opening of the river trail on Dec. 28. The trail often closes after Feb. 16, and last year it welcomed skaters, joggers and pedestrians until March 4. But the end is in sight. Thomson says warming huts along the trail have been moved in toward the port and will be taken off the ice in the next few days. "We're probably looking at day-to-day after today, for sure," Thomson said Saturday morning. It's not just increasing temperatures (like the forecast 2 C high on Tuesday and Wednesday) that spell the end for the ice, though Thomson says they're a key factor. The sun is also out for longer and at a higher angle, beating down on the ice. Flood waters are beginning to flow from the south and the west, increasing flows underneath the ice. Then water begins melting on the surface or breaking through, reducing the quality of the ice. And at some point, Thomson said, it's no longer safe to bring equipment onto the river and soon after that, The Forks has to make the decision to close the trail. The southern tip of the Red River part of the trail was closed in late February. Thomson said that while the rivers can be a barrier in the summer, they connect the city in the winter and give people a different view. This winter, she said, has "been long and we've enjoyed it and made the most of it. "But we might as well enjoy these now milder temperatures and sort of soak up every last few days of the Red River Mutual Trail." You can get the latest conditions on the trail at The Forks website or on Twitter.